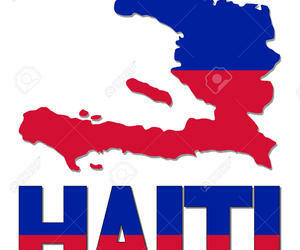 Haiti’s Minister of Trade and Industry, Pierre Marie Du Meny said on Thursday that his country will strengthen its commercial ties with Cuba, according to a report from Prensa Latina News Agency. During a meeting with the Cuban ambassador to Haiti, Luis Castillo, the Haitian Minister also confirmed his assistance together with a business delegation from his country to the 35th edition of the International Havana Trade Fair, FIHAV 2017. Castillo reiterated Cuba’s official invitation to be held from October 30th to November 3rd in Havana’s ExpoCuba exhibition hall. He stressed that the organizers for FIHAV 2017 support the idea of presenting the Caribbean proposals in one stand coordinated by the Caribbean Export Agency, according to Cuban diplomatic sources in the capital. Du Meny highlighted the importance of breaking the traditional obstacles for the intra-regional trade in the Caribbean and recalled the struggle of the Caribbean Community, CARICOM, for a fair and equal trade. He recalled that last year the Haitian companies like Cannex, Caribbean Food, Carribex, Huileries Haitienne, Pasta Haiti, Sun Food, Tropic, Farmatrix among others participated in the Cuban trade fair. The Minister also thanked the history of solidarity towards the Cuban people and government and the continuous commitment of cooperation between both sides. He highlighted the actions implemented by Cuba in Caricom and the development efforts in the Community of Latin American and Caribbean States, CELAC, and the Association of Caribbean States. In addition, the Bolivarian Alliance for the Peoples of Our America-People’s Trade Treaty.